Shotgun cooks up redemption in soup kitchen drama Grand Concourse. My review is in the East Bay Times and Mercury News. 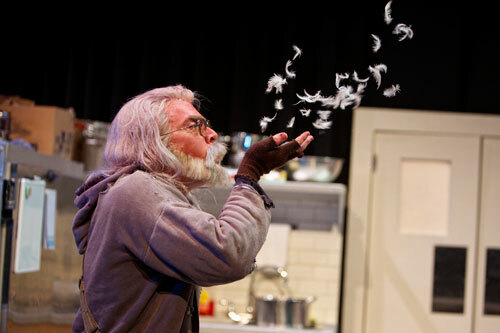 Kevin Clarke in Shotgun Players’ Grand Concourse. Photo by Pak Han. Show #79 of 2016, attended July 20. Someone from your team should come to our soup kitchen play, “Roughky speaking”,a play with rap that is actually about the homeless, whereas grand concourse is about the volunteers. Well, we’re based in the San Francisco Bay Area, but if you’re offering plane tickets along with the theater tix, sign me up!